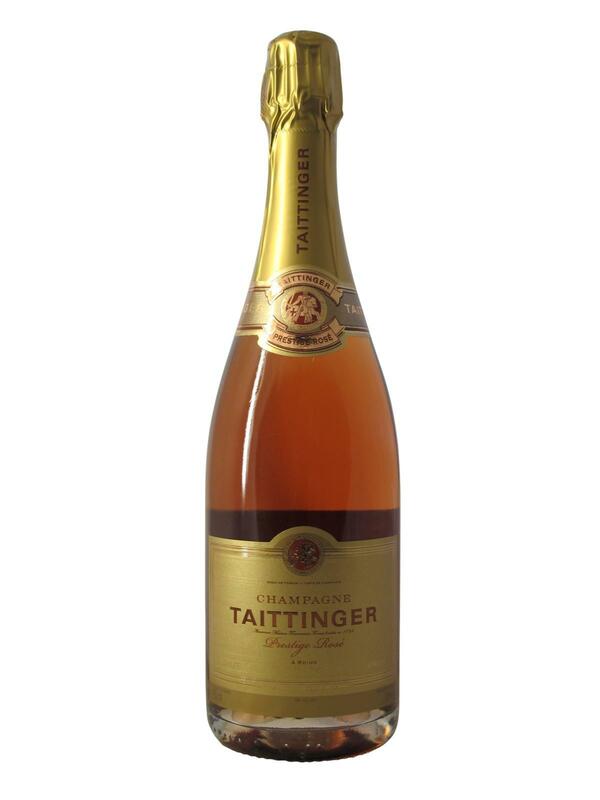 Taittinger Prestige rosé is a blend of three grape varieties (40% Chardonnay, 35% Pinot Noir and 25% Pinot Meunier). 15% Pinot Noir rouge is added to the blend to give it this superb intense pink colour. On the nose, the Champagne Taittinger Prestige rosé non-vintage distills a bouquet perfumed with red berries, raspberries, strawberries and cherries, as well as notes of butter biscuits and a floral touch. On the palate, Champagne Taittinger Prestige rosé offers elegant and refined aromas of butter biscuits, juicy apples, ripe peaches, a hint of red berries and a touch of lavender. Its aromatic richness is highlighted thanks to its silky texture crossed by hundreds of fine bubbles caressing the palate until revealing a fresh, round, dry and remarkably long finish.